Everyone lives on some sort of budget. Even wealthy people have to make decisions based on money, and most of us are living within rather tight financial means while trying to provide for a family, save for the future, etc. The idea of saving money on a monthly basis might seem like something of a pipe dream for people who are essentially living paycheck to paycheck throughout the year. Unfortunately, many people give up on the idea of saving before they really look at how they could make it happen. By keeping at little bit of your money each month, you can make things easier for you and your family in the years to come. One of the first mistakes that is made when it comes to saving is thinking that you have to save a certain amount of money to make it ‘worth it.’ That is simply not true. Any amount of money you can save will be useful down the line, so don’t hesitate to put even $10 or $20 into your savings account when you get the chance. Small amounts of money have a tendency to add up quickly, and you can get yourself into good habits by pushing money into your savings account regularly. Also, you might find that you quickly start to like the feeling of saving your money, making it more likely that you will want to do so with future income increases as well. You shouldn’t look at saving money as an optional part of your monthly budget – it should be just as important as food or anything else that you buy. Take a portion of your monthly income, even if it is a small portion, and move it into the savings side of your bank account. In fact, you may even be able to set your account up to have this happen automatically at a certain point during the month. We do this every month into different accounts with Discover Bank since they pay a competitive rate so we can earn something on our cash. Most people think about saving money as something that would be ‘nice’ but they never make it a priority – and therefore it never actually happens. It might not be easy, but saving money on a tight budget could be as simple as understanding the importance of this financial fundamental. Many employers will match contributions to a retirement account, which is something that you shouldn’t miss out on. This is free money, so it would be a mistake to skip over it just because you don’t want to wait to receive the benefit later in life. Make automatic contributions to your retirement account with each paycheck up to the amount that the employer will match, so you are at least doing something each month to work toward a better future. This is something you should consider doing, even if you are in debt. Even if none of your actual paycheck makes its way into your savings account, the retirement contribution will be pointing you in the right direction. This is a simple step that you can take, and you shouldn’t even have to think about it on a monthly basis once you set up the contribution with your employer. Saving money is hard on limited budget, but it’s not impossible. Have you ever lived on a limited budget? 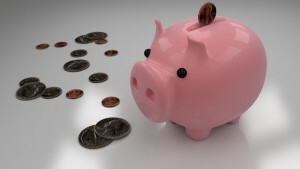 How do you save money in your current budget situation? Is savings part of your monthly budget? Saving is really part of my monthly budget. As much as I could, I make sure that I save even a small amount of money in each category in my budget. For the past weeks, I have done bulk cooking, not only that this helps me save money but also it saves me so much time. Preparing breakfast has been so easy to do.